Here's another dream movie, which doesn't get close to the attention it deserve. 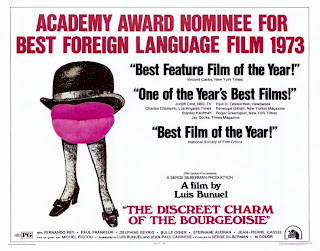 It's directed by none other than master surrealist Luis Buñuel himself, and indeed many consider it his best movie. As usual with this logic-lacking genre, it's difficult to say what the film is actually about: An upper class family tries to have dinner, but is constantly interrupted by one absurdity after the other... and that's about it. How and why anything happens, is really one joke after the other. But it's not all tomfoolery. The approximately 100 minute running length is filled with social satire, performed with such poetic perfection, it has been compared to Shakespeare. The whole affair is rather quirky, and the slow and subtle tone throughout will undoubtedly dissuade many. 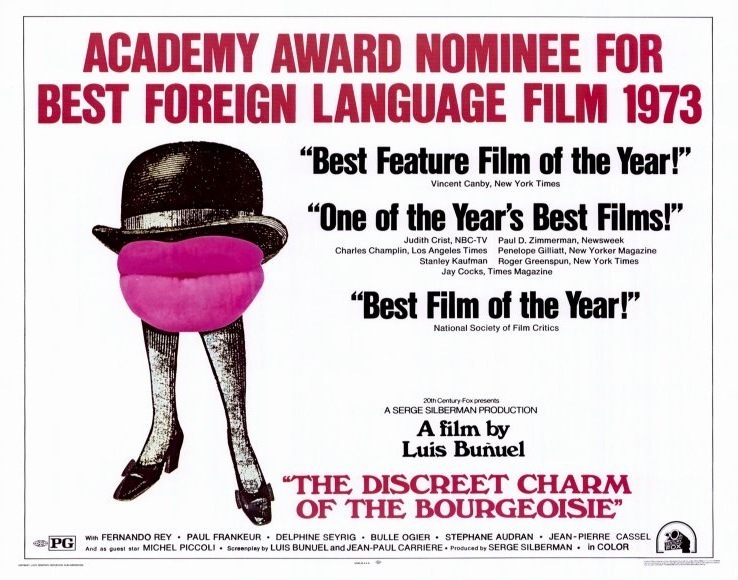 But if you're tired of the disgustathon slapstick infestation that roams the world of comedies these days, The Discreet Charm of the Bourgeoisie will be one piece of intelligent humor you won't want to miss.